I resolve…to be prepared in the event of an emergency! - Scarsdale Premier Insurance Agency | Advocate Brokerage Corp. I resolve…to be prepared in the event of an emergency! 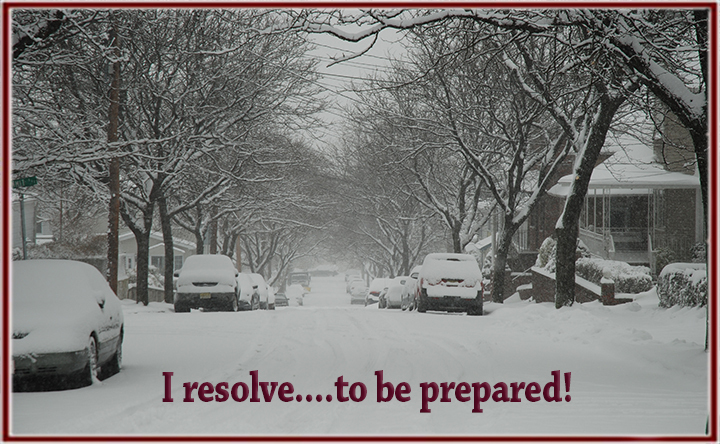 I resolve to be prepared in the event of a winter storm disaster! While this may not fall into the top 5 resolutions we listed last week, it certainly falls in the organization category and is most likely one of the items on your “I’ve been meaning to take care of that!” list. Water – FEMA recommends that you set aside 1 gallon per day for each member of your family. You should have enough for a 3 day supply. 4 members of your family? That’s 12 gallons of water. Food – A 3 day supply is what we are looking for so stock pile canned goods and other non perishable foods. A hand crank or battery operated radio. Enough batteries to power both and some extras! So, how are you doing in the Be Prepared category? Do you have an emergency kit ready? How many of the items listed above do you have set aside? Advocate Brokerage’s blog post next week will focus on helping our customers get closer to achieving their organizational goals!